These images of a Monocot and Dicot of a flower bud were captured under the Richter Optica U2 digital biological microscope. 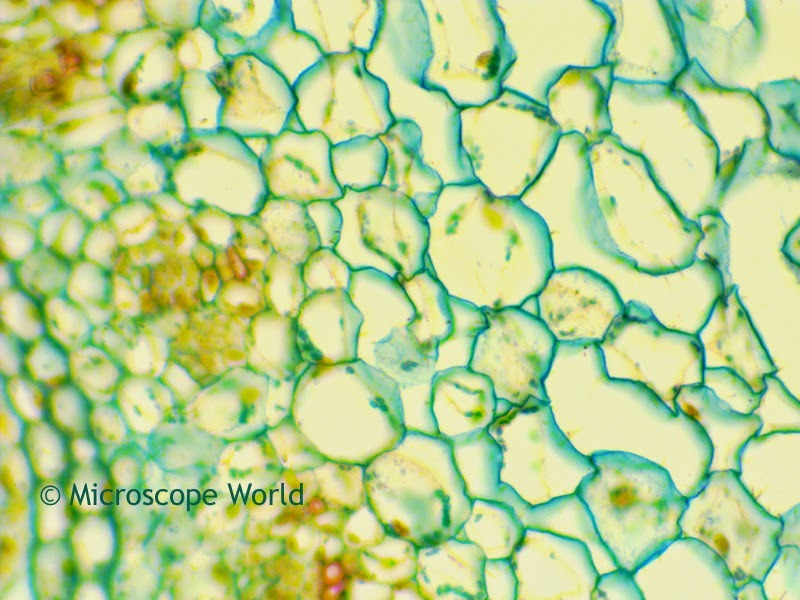 The prepared microscope slide Monocot / Dicot can be purchase in the Fruit & Flower microscope prepared slide kit. Monocot / Dicot of flower bud captured under the microscope at 40x. 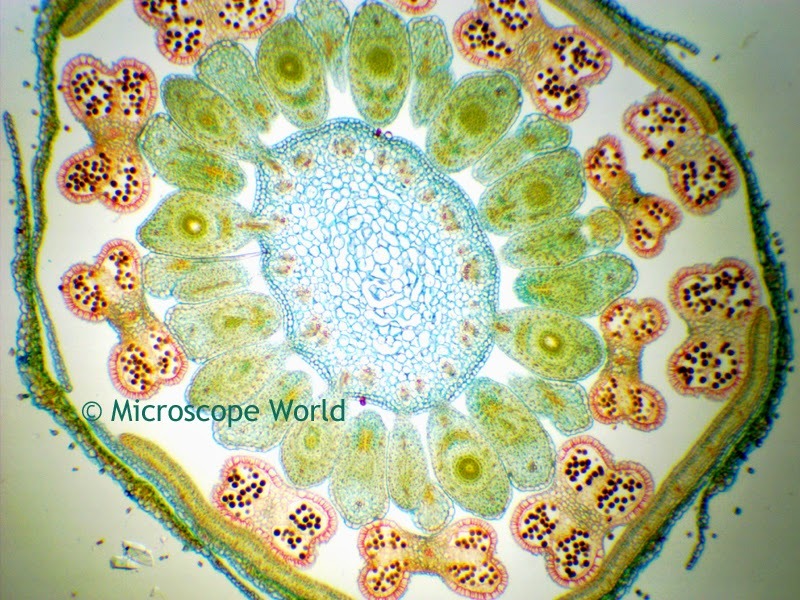 Monocot / Dicot of flower bud captured under the microscope at 100x. 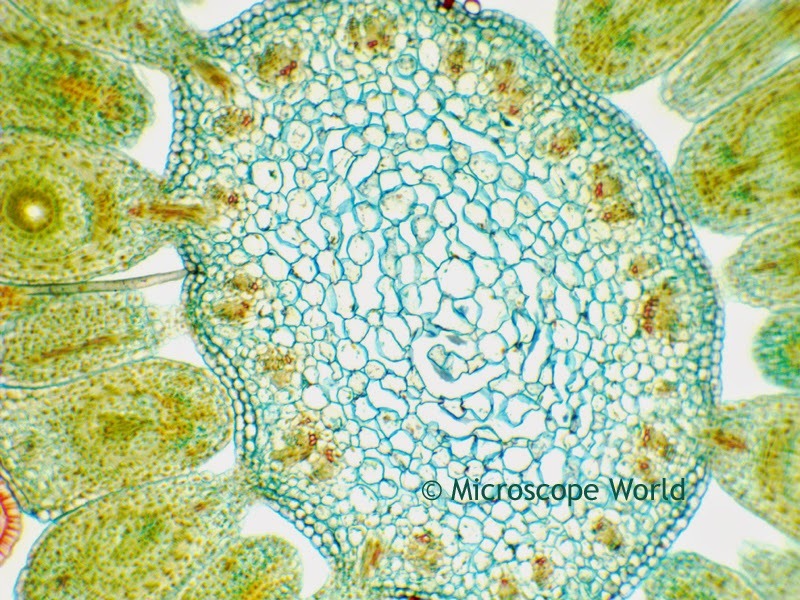 Monocot / Dicot of flower bud captured under the microscope at 400x. What is a Microscope Eyepiece Reticle? What is a Compound Microscope?